Children’s sitcom for TV. 2014-2015. 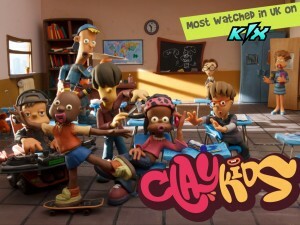 2nd season of the children’s stop motion animation TV series Clay Kids. Winner of the prestigious Silver Telly Award 2012 and number eleven on the Mipcom Junior 2012 “Top 30 Most Requested Programs”. AEBAN Best Project Award. Distributed worldwide by Cake Entertainment with sales in over 60 countries.